Want genuine, professional book reviews on the web, written by influencers in your genre? 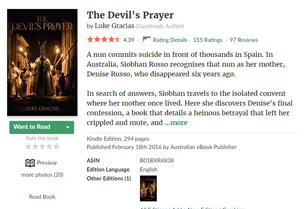 Want to see more reviews on your ebook and book store vendor pages, such as Amazon and on book review sites like Goodreads? Do you need some qualified reviews to add to your cover design and marketing materials? Before you can obtain these goals you first need to put your book in front of the people who like to review books in your genre. We can make this happen legitimately and easily. It's networking with book reviewers! 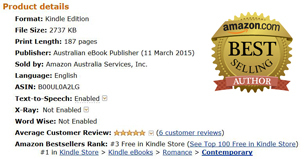 Australian eBook Publisher Advanced Review Management is for you! 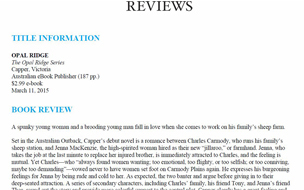 We use an online book review system (OBRS) that is also used by traditional publishing houses to manage advance review copies and supply them easily, safely and efficiently (using digital rights management technology) to booksellers, book reviewers, book bloggers, librarians, book wholesalers, book buyers and more. You will get the names and email addresses of the people who review your book (if they provide it via the OBRS) so that you can contact them to thank them and request that they post the review on Amazon and other websites (after publication). These reviewers are mostly located in the USA and UK. They are looking for new books and their rewards include boosting their rating as a reviewer on the OBRS, thus enabling them to attract bigger publishing houses to approve their requests for books, getting free books, and finding that rare gem that they need for their own organisation or company. The aim here is create some buzz among book industry professionals as well as to get some reviews onto places like Amazon and Goodreads, and that you can use in your own marketing efforts. As these are professional reviews, Amazon is not likely to perceive them as false or manipulative of their system (unlike using $5 freelance sites to pay people to review your book). Our price includes the OBRS’s fees to us (which we have converted from USD and factored for bank exchange fees) as well as three hours of our time to manage the initial listing and then sending the reviews to you and the reviewer’s contact details so you can thank them and ask them to post the review to Amazon once your book is live. Your book will be listed for at least three months. During that time your website promo or email newsletter blast will be organised (if included in the price you have paid—see above for options). Newsletter spots are subject to availability by our supplier, and are usually themed for particular genres. Both the website promo and email newsletter highlights are a great way to increase your book's visibility to members of the book review platform, and will increase the uptake of your digital galley (advanced review copy). Boost your ratings across the major vendors and increase SALES. Our Advanced Review Management Package 2 service will provide you, within 7–9 weeks, 3 reviews from the most globally influential sources for professional indie book reviews. These will be published in two magazines that publish professional book reviews and will also usually post them onto vendors like Amazon and Barnes and Noble. The independent book review magazines we work with give independent authors a chance to obtain an unbiased, professional review of their work, written in the same format as a traditional book review. A book review can be an essential and powerful tool for promoting your book to literary agents, traditional publishing houses, booksellers, and, most importantly, potential readers. One of the independent book review magazines we work with promises an objective 400–500 word review/critique. The review will be posted on their website, licensed to the three top wholesale databases, and made available to the author. Operating in the publishing industry for over thirteen years, this professional book review magazine uses a team of more than one hundred qualified reviewers to help you connect your stories with the hearts and minds of booksellers, librarians, and readers excited to find undiscovered indie literature. Your review will be posted on their high traffic website and licensed to book wholesalers. Partners, such as Ingram, Baker & Taylor, Cengage, Bowker, and EBSCO will spread the word to thousands of librarians and booksellers. Placed on top of the review, this powerful testimonial boils down the entire piece into one sentence, telling readers instantly what distinguishes this book. Money Quotes use active, dynamic language that can be lifted easily for promotional purposes. 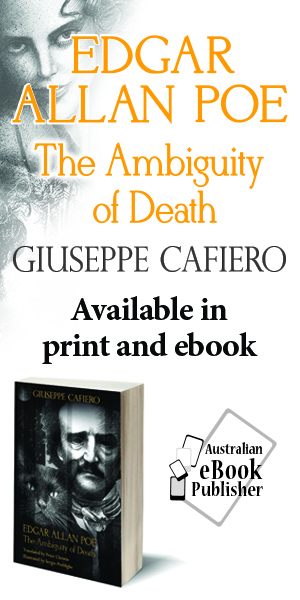 This well-written introduction tells readers, in a compact, conversational, positive way, what the book is about and what our reviewer thought of it. It could also stand alone, if necessary, as a one-paragraph mini-review. We'll give you 400-500 words detailing much more than a mere plot synopsis. Professional book reviews give authors and readers a comprehensive critique of the writing, plot, pacing, characters, packaging, and other elements that will influence potential book buyers. The reader will not only know what the book is about, they will get a complete analysis from a professional writer who specialises in specific fields of study (book genres). Your book will be rated with one to five stars based on excellence. Ingram Book Company. Reviews appear in the online forums of this wholesale book distributor and are accessed by more than 71,000 librarians and booksellers globally. Join The New York Times and NPR on a discoverability site that aggregates professional book reviews (think Rotten Tomatoes for books). Barnes & Noble. At author’s request, our provider can post a review excerpt in the Editorial section of the author’s page. This designates that the review is professional as distinguished from customer reviews. 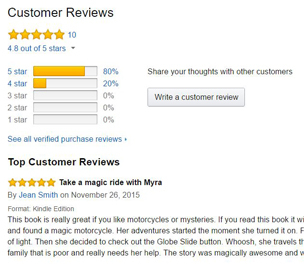 Most reviews are eligible to appear in the Editorial section of Amazon’s author pages. Publishing Perspectives. Called “the BBC of the book world,” this online journal runs monthly updates of starred reviews to help international publishing executives acquire material for books, film and video games.